Illinois Computer Science undergraduate degree programs are accredited by ABET, which reviews college and university programs in the disciplines of applied science, computing, engineering, and engineering technology to provide assurance that quality standards are being met. 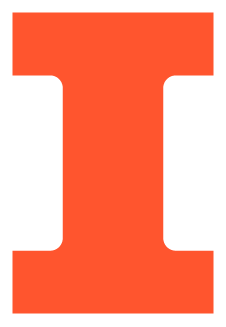 The University of Illinois at Urbana-Champaign is accredited by the Higher Learning Commission. For more on this topic, including a discussion of the benefits of accreditation, please see Accreditation Information. Our Undergraduate Program Educational Objectives are to prepare graduates who are highly sought after by employers and accepted at top graduate schools, who obtain positions in industry, government, and academia, and who distinguish themselves in leadership positions in their profession. Our constituents include employers nationwide, who need well-trained computer scientists; the people of Illinois, and more broadly, the nation, who need a strong IT workforce; graduate schools, at which our students may pursue further studies; and our own students, for whom we seek to provide an excellent CS education and opportunities for professional growth. Function effectively as a member or leader of a team engaged in activities appropriate to the discipline. Above all, our students must possess the intellectual tools that will enable them to keep pace with the ever-changing world of Computer Science. Our mission is to provide to each student the opportunity to succeed and thrive in our department, so that they may graduate with the knowledge and abilities listed above.